waman ahsanu mina Allahi sibghatan! 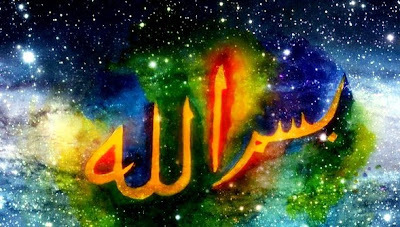 ..
and who is better than Allah in coloring!
. The Quran 2:138 . My soul and my heart have been captivated by the beauty of the Name of God. My thirsty lips have been comforted by the pure water of the Name of God. You’ll see that union with God is in union with the Name of God. You’ll see in the manifestation of the names the perfection of the Name of God. If you are constantly reflecting on the Name of God. If you can provide yourself with the wings of the Name of God. I’d become His devotee by the grandeur and glory of the Name. Mo’in why be tired of the recitation of His Name? You’d be tired of God if you’d be tired of the Name of God. I am myself both the observer and the observed. It is only proper that I am drunk. So that I am a Mansur on the gibbet of extinction. Comes unbidden out of my mouth. I am a particle of dust made manifest by that light. Thus it is better if I remain hidden. Thus it is no wonder that I have become famous. All inward peace and stability have left me and now I’m ruined. Is it strange if I now cry out for help because of Your hands? What can I do, but to endure patiently what happens to me now? But now I discover that in every corner He placed hundreds of treasures. But in fact instead of being destroyed it has now been revived. But a hand from the unseen has come to free me now of my chains. The Cupbearer of the divine banquet has opened the door of the tavern. Just now He gave me a hundred thousand cups from His wine-vault. My present state of existence has been shaken from its foundation. Yet even now his search will not stop. Source: Translated by Mohammed Siraj from Kalam-i-Lam Yazal which contains 100 ghazaliyyat coming from the larger "Diwaan-e-Mo'in". It has been published by the Khuda Bakhsh Oriental Public Library in Patna which has the original, complete Persian text of the Diwaan. The "Diwaan-e-Mo'in" has been attributed to sufi saint of 12th-13th century Khwaja Mo'inuddin Chishti. It is not certain if he really is the author, but in all cases the real author is a very advanced Sufi. The Chishti Sufi Order consider these teachings as valuable.